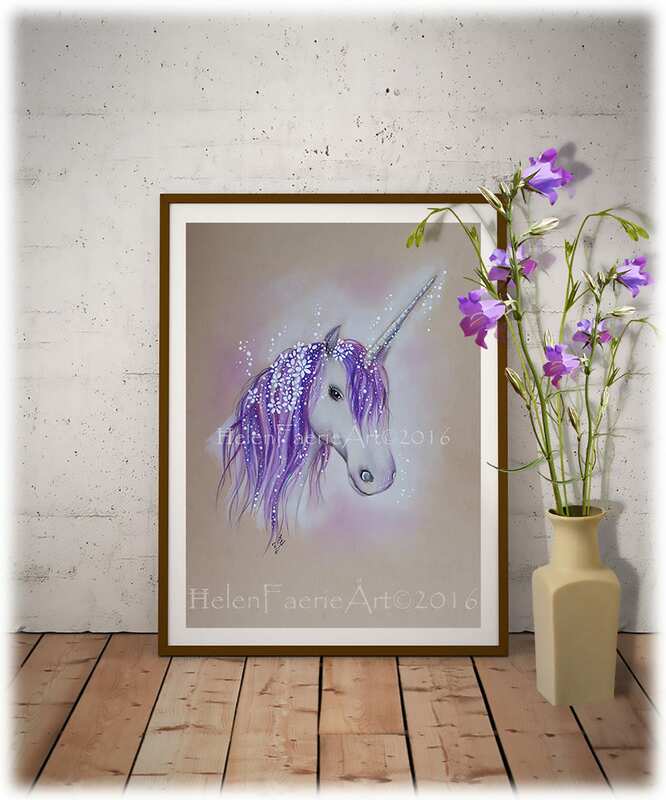 Open Edition unmounted Fine Art Prints made from my original Unicorn pen and pencil drawings. 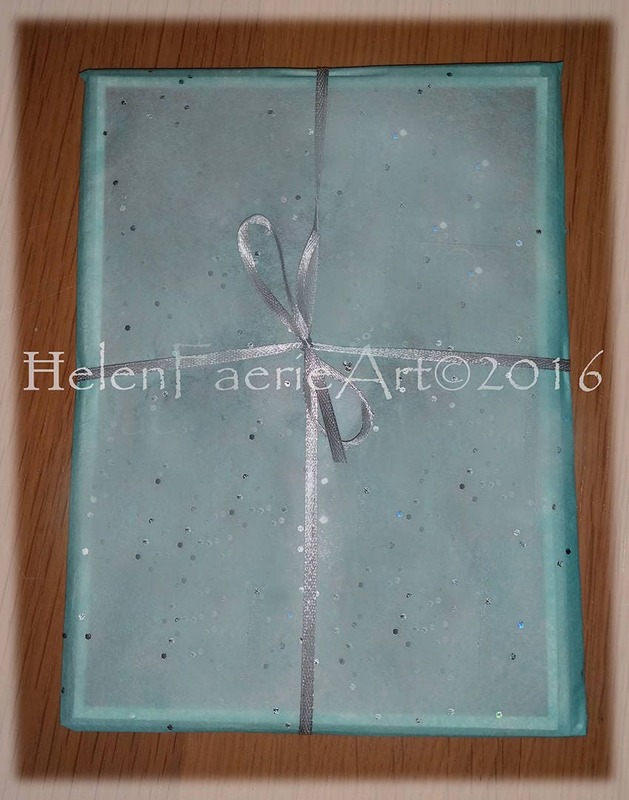 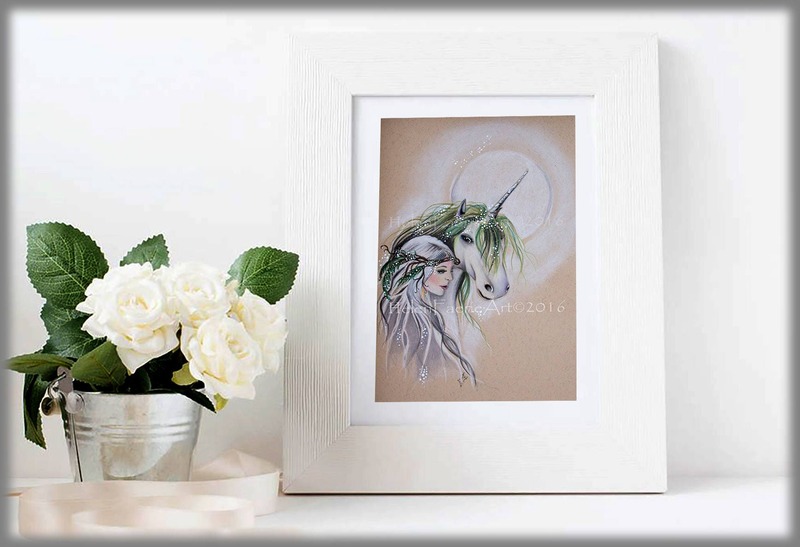 A small white border is left around the image for ease of framing and will be each signed on the back. 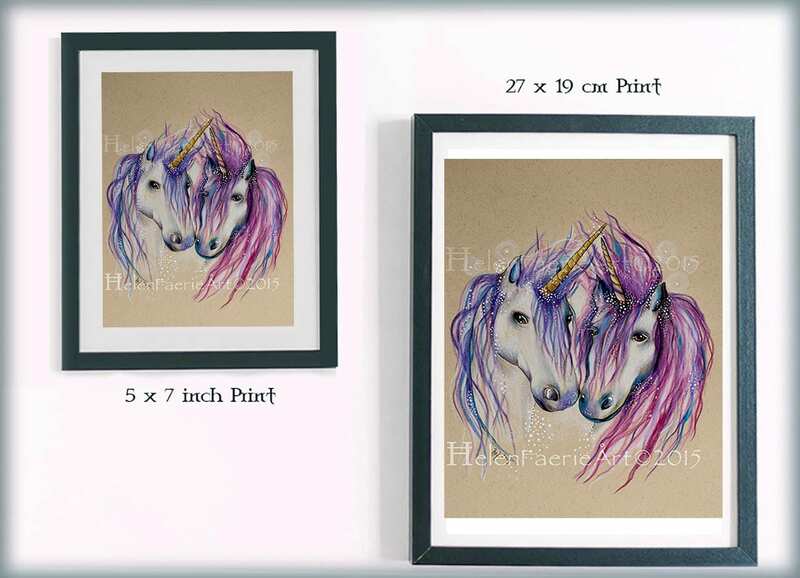 They will be protected in transit within a clear acetate sleeve and posted in a board-backed envelope. 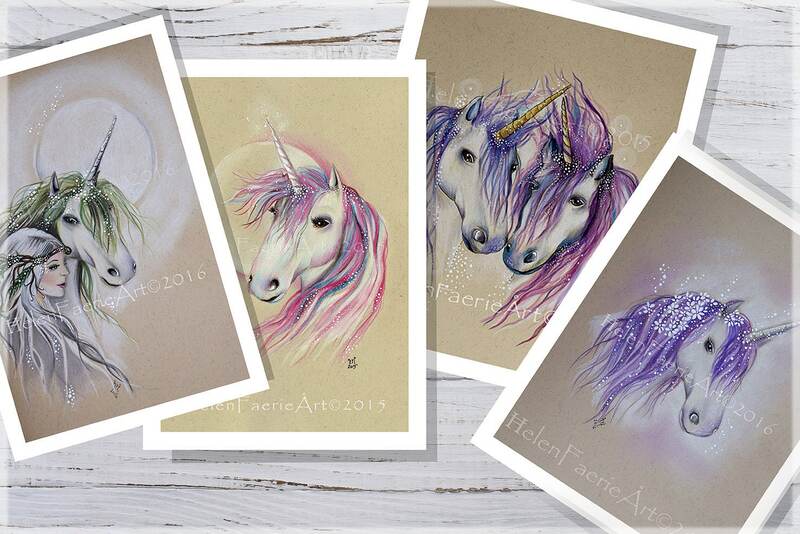 You will receive four prints, one of each drawing. 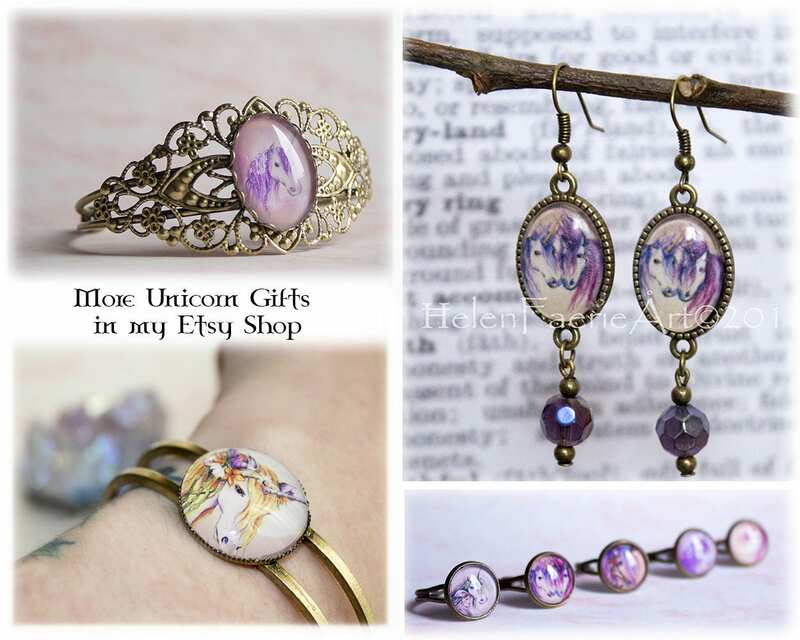 Inspired by my love of Unicorns. 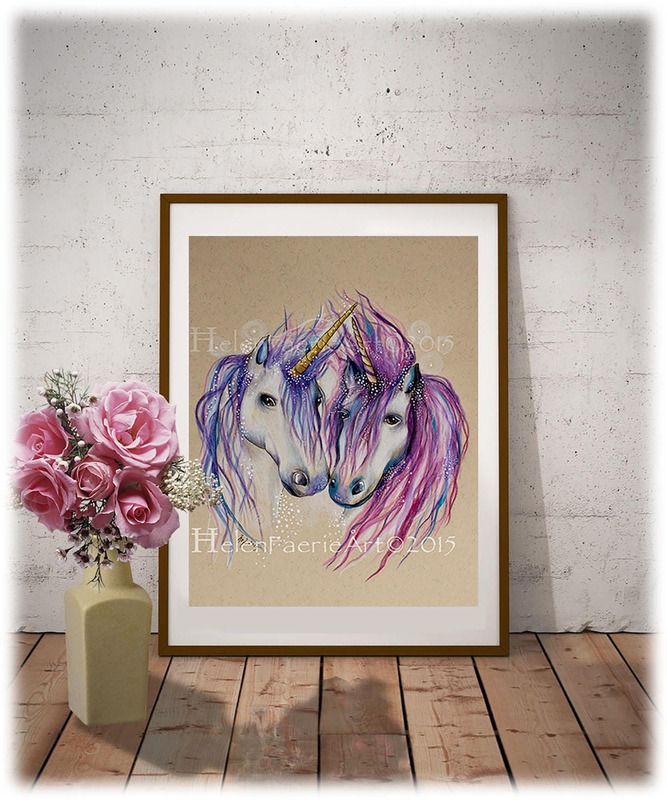 I just adore drawing with lovely pinks and purples and of course unicorn magic! 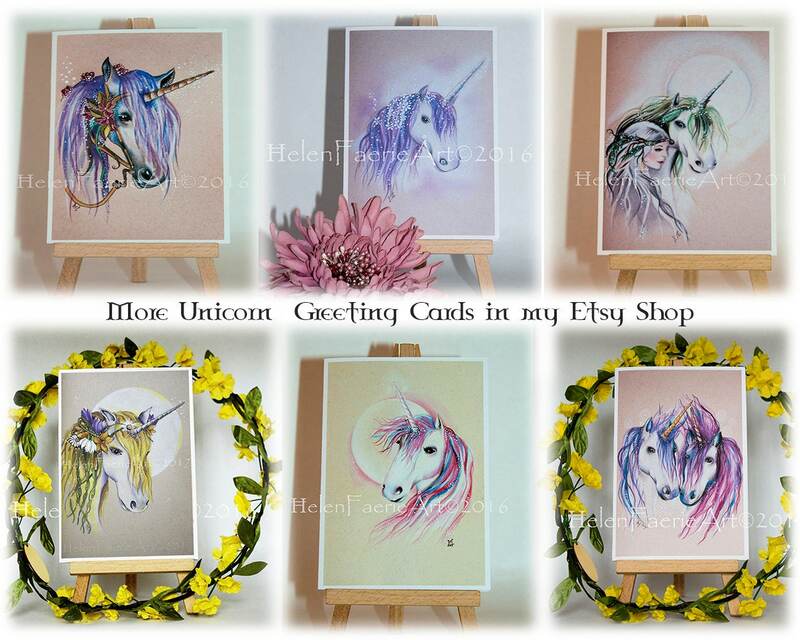 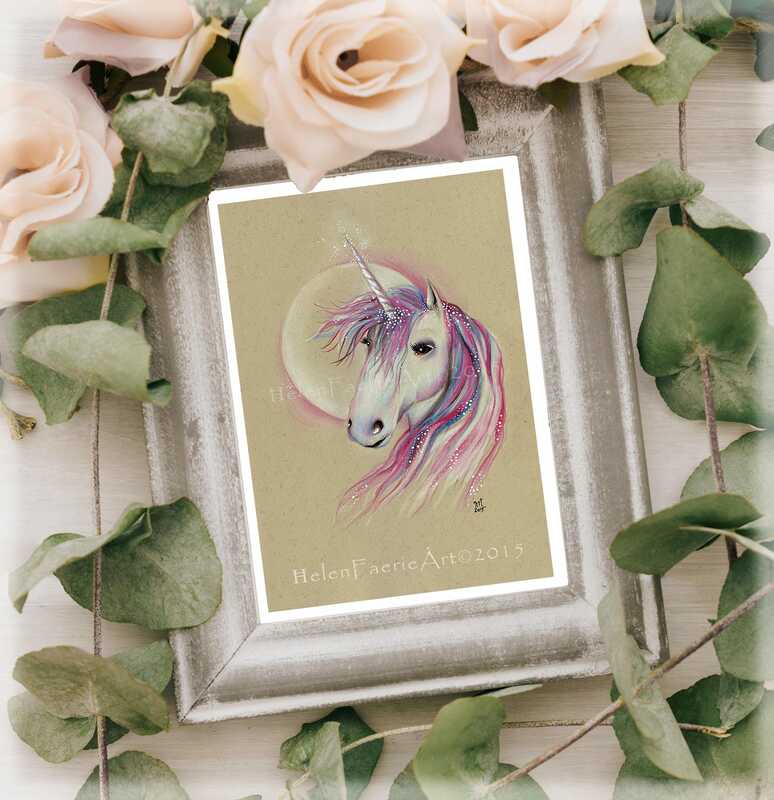 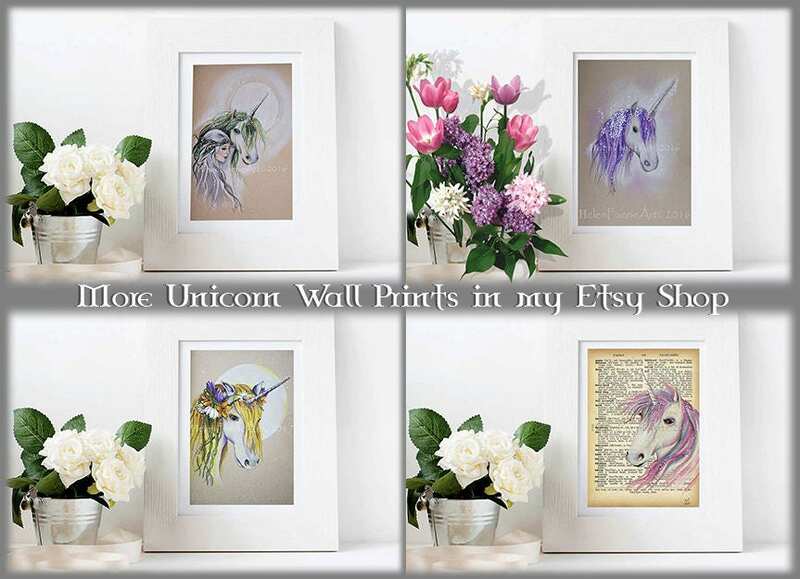 Lovely to hang on your wall in your house or studio, letting the unicorn love surround your space.